Pro Tour personality @TomoharuSaito has been a busy man. 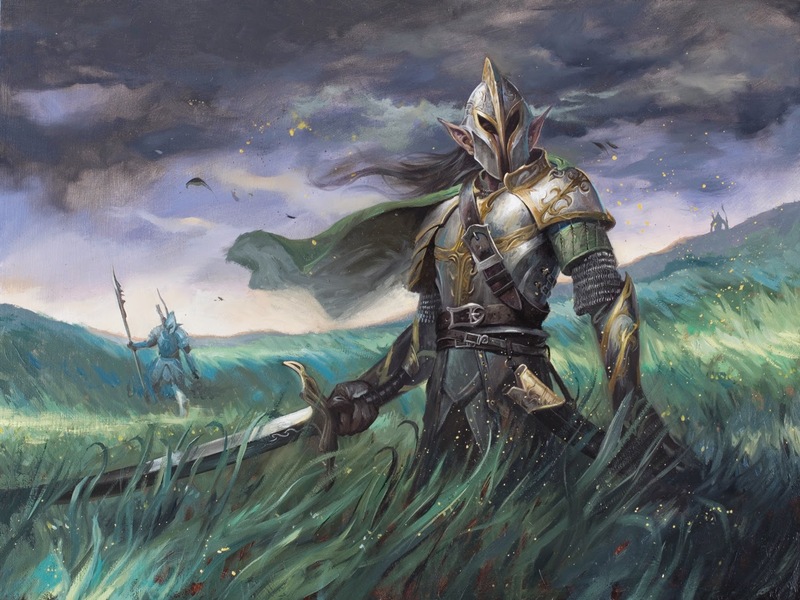 He has provided the Magic community not one, not two, not three, but thirteen (at the time of this writing) decklists that players can use to get an idea of what Standard might be like until Khans is added to the card pool. He did this for Journey Into Nyx as well but I only found out recently about those Twitter posts he made in May. Some of his May ideas panned out while others did not. I think most didn’t pan out because the top tier strategies are pretty much set in stone at that point, at least in the U.S. Who wants to learn how to play a new deck near the end of the season? The decks did provide insight into several cards, however, and got people talking about cards like Prophetic Flamespeaker which was featured in some of the decks from his last batch. This time around, I’m going to dive deeply into Tomoharu’s decklists and see if we can’t glean any information about which cards might see play after rotation. I think posts like these are helpful in seeing future Standard possibilities. He displays the decks in an elegant, simple way. He compiled the decklists together on a playmat and took a picture of each list that he thought would see play over the next couple months. Afterwards, a quick post to Twitter and all of a sudden everyone is buzzing around this news. Please check out his lists on Twitter, then come over to this Reddit post to get an idea about what the community is saying about the most recent batch of decks. From my reading of the Reddit comments players seem to be very divided on how “good” the actual decklists are. Are these only Tier 2 strategies? Is he tricking the entire populace, listing all of these decks out and then going to decide to play something completely different? Could this be chalked up to the uniqueness that is the Japanese Magic scene? We’ll just have to wait and see when the results start rolling in. From a financial standpoint, these decklists are a powerful tool to let us know the possible directions that Standard could go. Thirteen decks is a lot of data to go through. Let’s see which cards Tomoharu Saito thinks are going to be played the most based on the number of times they appear in each of the decklists. Lets run the numbers and see how many copies of each card are present in the decks. The decks were quite diverse and the card list reflects this. However, we’re also trying to glean some information as to what cards Saito values the most from Standard sets that aren’t rotating in the fall. If you’re a Standard player you will want to pick up your copies of these cards because they are the most likely to get played across several archetypes. You’re chances of being able to use the cards once Khans comes up are pretty high if you decide to pick up cards on this list. Courser of Kruphix, Sylvan Caryatid, and Temple of Malady round out the top three. They appeared in both spike and fringe strategies (fringe examples include Maze’s End and BG Zombies), and when they did each deck contained a playset of them. Llanowar Wastes comes in at a close fourth with Thoughtseize to round out the top five. I would advise picking up all cards at the current prices if you plan on playing them. Soldier of the Pantheon, Battlefield Forge, Mana Confluence, and Temple of Triumph all appeared as a playset in two decks. Boon Satyr appeared as a playset in one, and three copies in another. These are probably the best cards to spec on, and personally I would put my money on Soldier of the Pantheon and Mana Confluence as the breakout cards of the four. Boon Satyr and Temple of Triumph should also be solid going into rotation but I don’t think the gains will be as good as Soldier or Mana Confluence. AEtherspouts appeared in control lists that utilized blue. I’m not sure how well these decks were tested, but it couldn’t hurt to pick up a a few copies for EDH or if you plan on playing one of them in something like UWR Control or a similar build. Cards not in this list but still should be looked out for – Chord of Calling, Urborg, the other Temples, Painlands, Eidolon of Blossoms, Fleecemane Lion, Anger of the Gods, and Scuttling Doom Engine. They each are good enough to merit play as well. Mythics are an interesting bunch. Due to Wizard’s policy of trying to create format staples as rares rather than mythics, we find that a large majority of mythics in this list are played in only one of Tomoharu’s builds. Ajani Steadfast and Polukranos buck this trend, but Polukranos only appears as a Chord of Calling Target in his mono green devotion list. It appears that he will be good in the new green deck based around Nissa. Essentially, the takeaway here is that Ajani Steadfast probably has the most to gain from rotation if white weenie or green/white aggro becomes a dominant deck over the summer. Though I’m not sure if Ajani is the right walker to put in these decks – I feel like Elspeth, Sun’s Champion is much stronger and I would rather pick her up seeing her on this list. However, I also haven’t been a Magic Pro Player of the Year and everyone could be undervaluing Ajani because they haven’t tested him. Then again, I have no idea if any of these decks have been tested so it’s kind of a hard call at this point. $15 is a little rich for my blood, so if it starts going down towards $8 I think it would definitely be a good planeswalker to pick up. At the very least, if you’re playing white weenie you should be getting Brimaz which the list confirms. Sliver Hivelord only earns a spot in this list because people will try to make the Slivers deck work. I have no idea how good it might be but I’m guessing it won’t gain much traction from people outside of FNM. Plus, many of the pieces are rotating in the fall so I’m staying far away from slivers mainly for that reason. Soul of Innistrad was the only soul mentioned to make it into any lists. Pharika and Keranos were the only gods to show up, and Keranos only showed up as one copy in the UWR control build. I’m not sure if the souls and gods are worse than I initially thought but this might confirm in many peoples minds that they are. I still wouldn’t discount many of them, especially Soul of Theros or Soul of New Phyrexia once rotation hits. Pharika is appearing in lists since she is such a cheap god so I would say getting in lower than $5 is pretty good for her at this point. I think she will see marginal play in the future. Kiora was only in the Maze’s End list, which means that she doesn’t really have a home yet come rotation. Maybe something will pop up over the next few months. At $14, I don’t really see her going lower so you won’t be making a mistake buying in. I just don’t think she has that much room to grow unless another slow control deck like Maze’s End comes along. Nissa and Garruk are tough to analyze at this point. Something tells me that somebody knows something about Nissa due to the recent price surge she has experienced over the last week. However, it could just be that a lot of casual players want her as soon as she comes out. Afterall her second +1 ability isn’t that great outside of a mono green deck. Based on these concerns I don’t think her current $35 price tag is warranted. Even Garruk, Caller of Beasts was only around $25-$30 at his peak and he suffered from some of the same issue (second activated ability only worked for green). Garruk, Apex Predator can only go in those really controlling shells as a finisher from the looks of things. Even with all the ramp in Standard getting out a seven mana planeswalker is tough. Maybe it will be easier with the introduction of Khans but I don’t think it is going to pan out this way. Get rid of your copies for $25 now and pick them up later when they are cheaper. Twitter posts like these are exactly why you should have an account. Twitter in general provides valuable information to the Magic community and these posts especially can provide the right kind of value to the financial minded. The decklist pictures quickly give us an overview of the new Standard possibilities without each one of us having to do the leg work of putting a bunch of decks together. The hardest part is playtesting which will tell you which cards perform the best in their respective archetypes. But at least we’re not fumbling around in the dark. At the very least, Tomoharu Saito’s decklists allow the community to have a vibrant discussion on the merits of each deck and which cards are the deck’s frontrunners. Which cards do you think will make the most impact on the upcoming Standard?